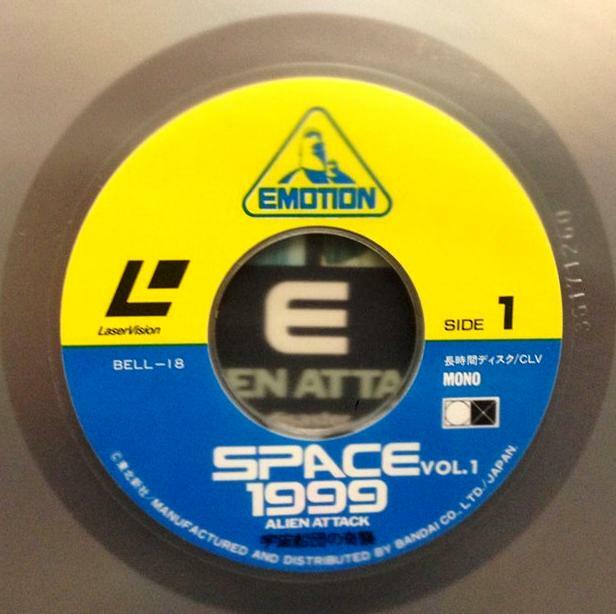 Emotion (Bandai Emotion, label of Tohoku Shinsa Organisation Co. Ltd). 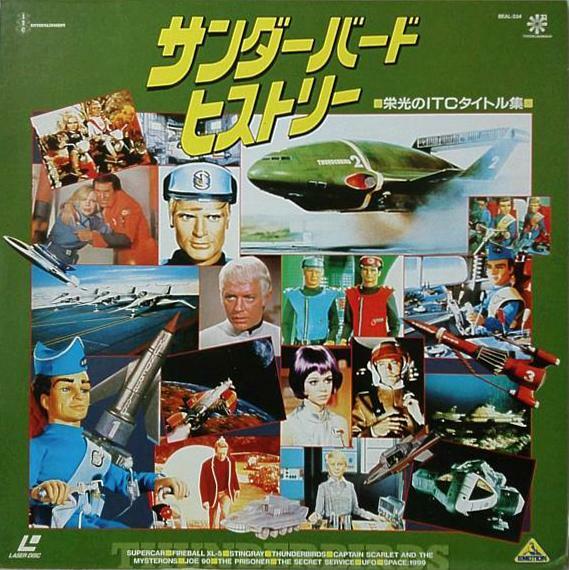 Japan's Bandai company is one of the biggest toy companies in the world. In 1983, they founded the Emotion label for video releases, primarily of TV and film anime titles. 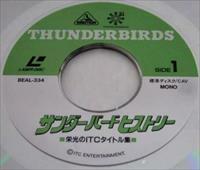 Bandai Emotion released three compilation movies in three different video formats. 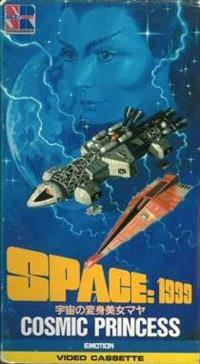 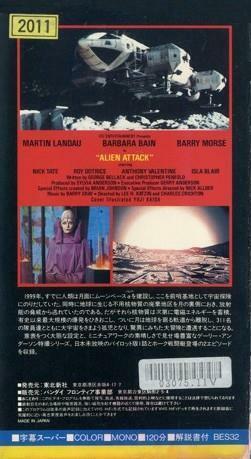 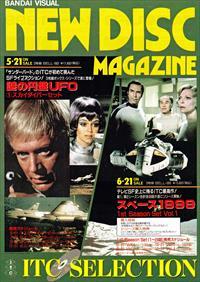 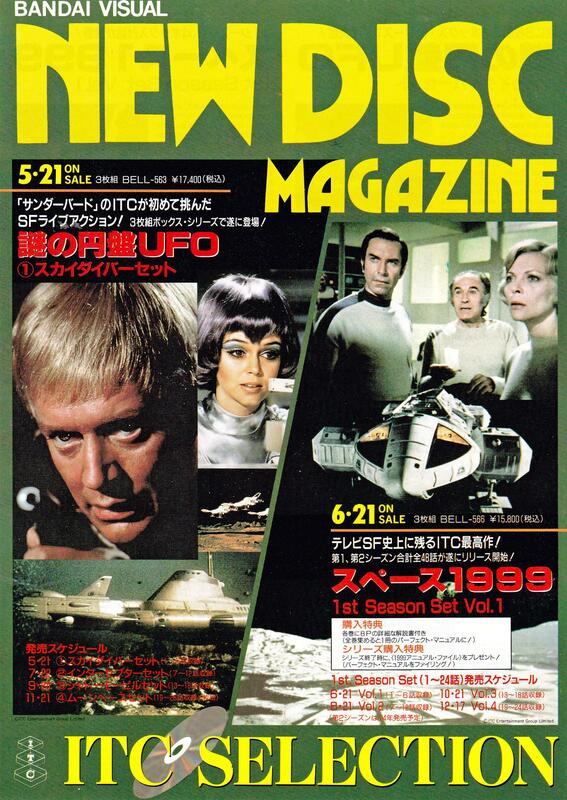 Destination Moonbase Alpha was not released by Bandai as the Japanese rights were held by CBS-Fox Far East. 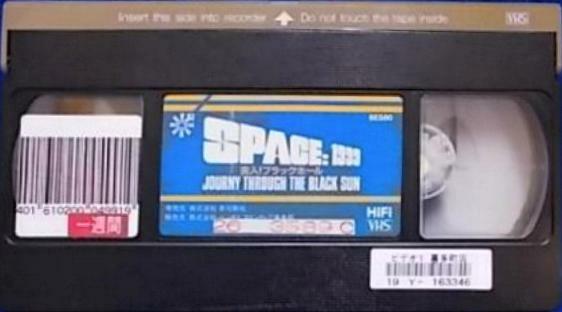 VHS videotape - all three. 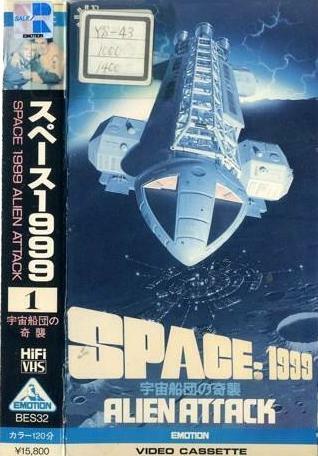 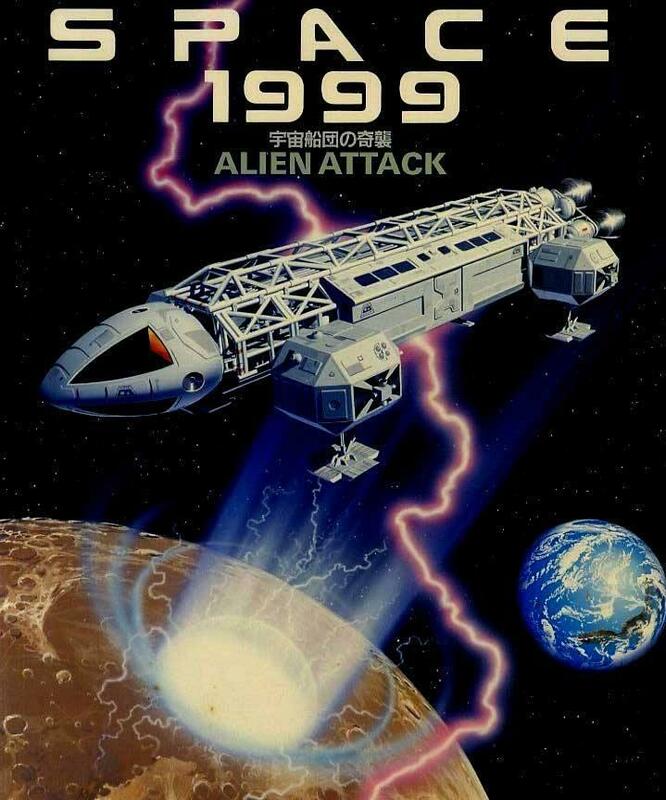 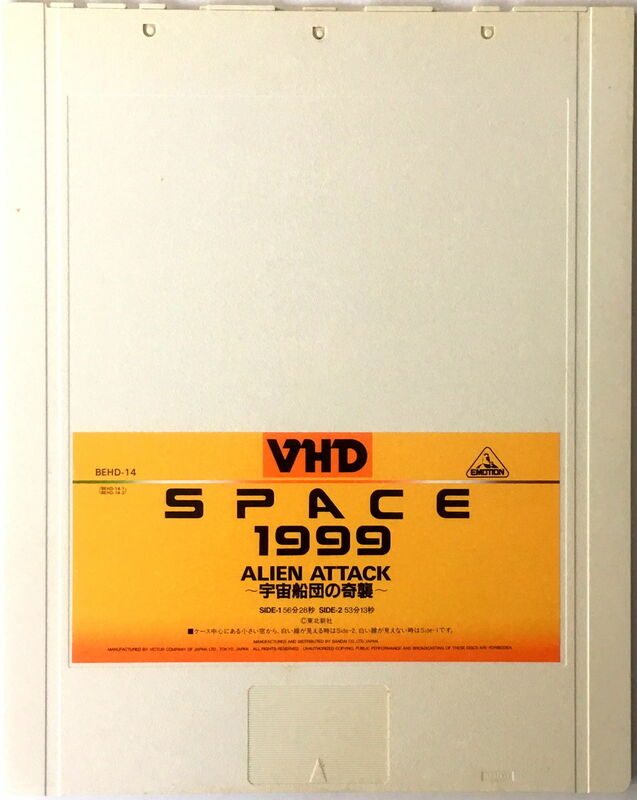 VHD (Video High Density, 10 inch/25 cm discs in a sealed caddy; the format was only released in Japan and the UK, and declined rapidly after 1986) - Alien Attack only. The stunning new artwork was by Yuji Kaida (born 1953, a Japanese artist known for his paintings of monsters and robots, and thousands of plastic kit covers). 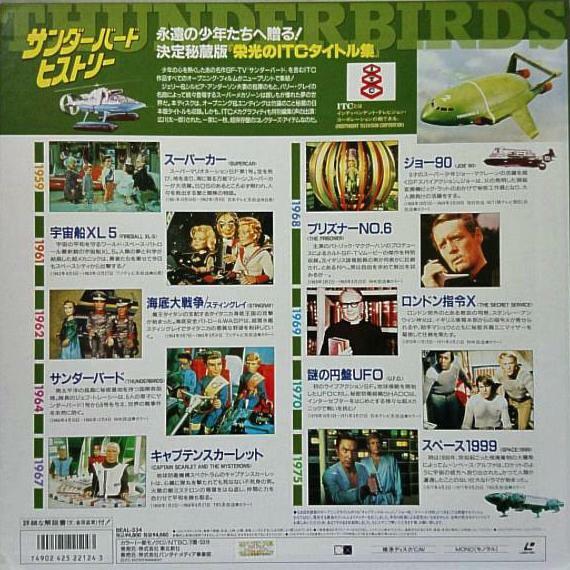 There are ads on back cover of Supermarionation Graffiti books and the It's Thunderbirds Century Modeling Manual p97. 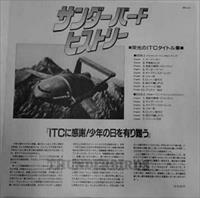 Like Japanese LPs, CDs and books, when sold these had a vertical paper strip wrapped around one side, called a "tasuki" (Japanese for ribbon), although now more widely known as an "obi" (a Japanese word mistakenly used by foreigners). 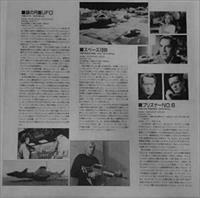 These are mostly covered with Japanese text (title, artist, track listings, price). 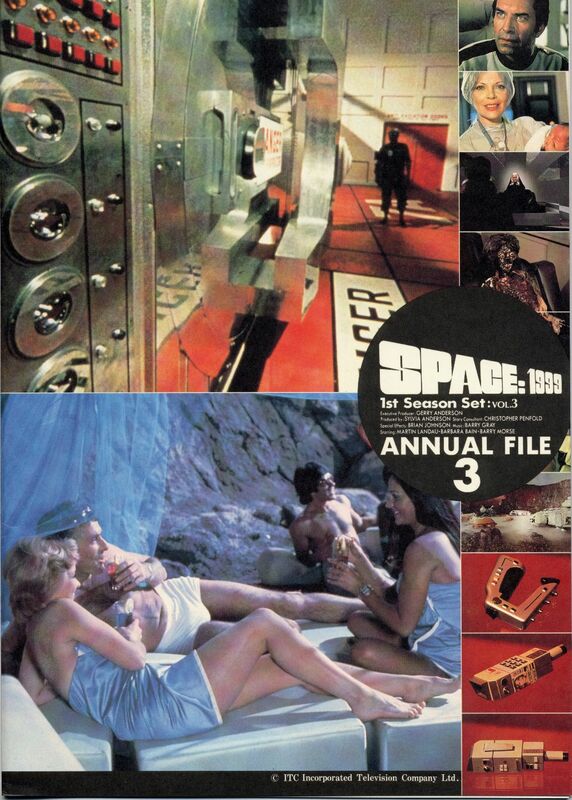 These are usually discarded after purchase; consequently items retaining them have a greater rarity value. 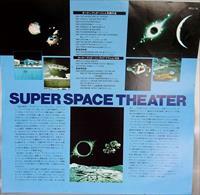 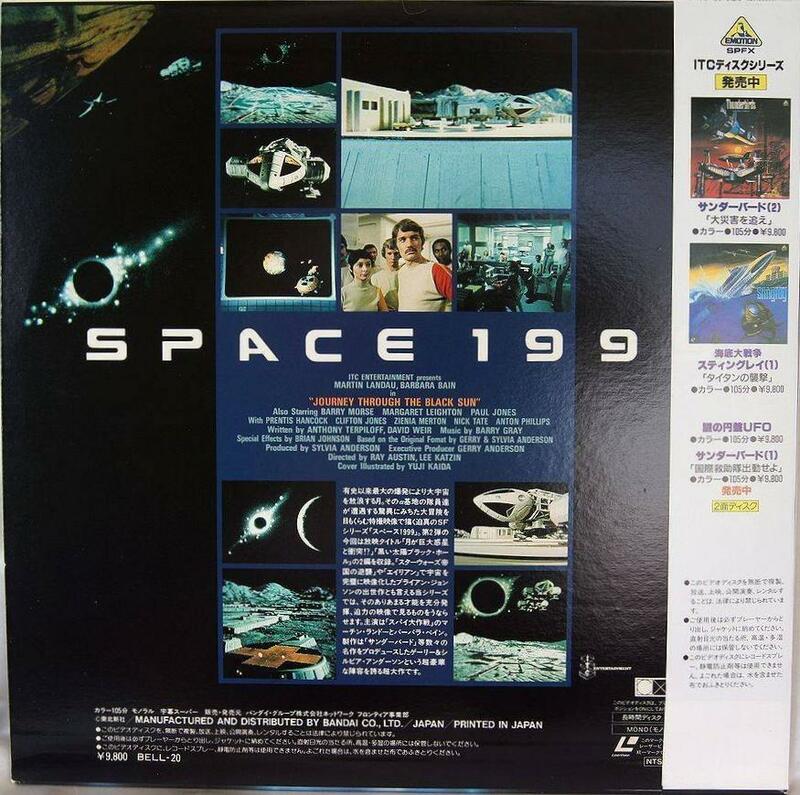 The tapes and laser discs are NTSC, with English soundtracks and Japanese subtitles. Laser disc: Art of Eagle (3/4 view) with explosion on Moon below. 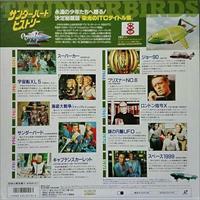 Photos on rear of both episodes, plus an Eagle from The Metamorph. 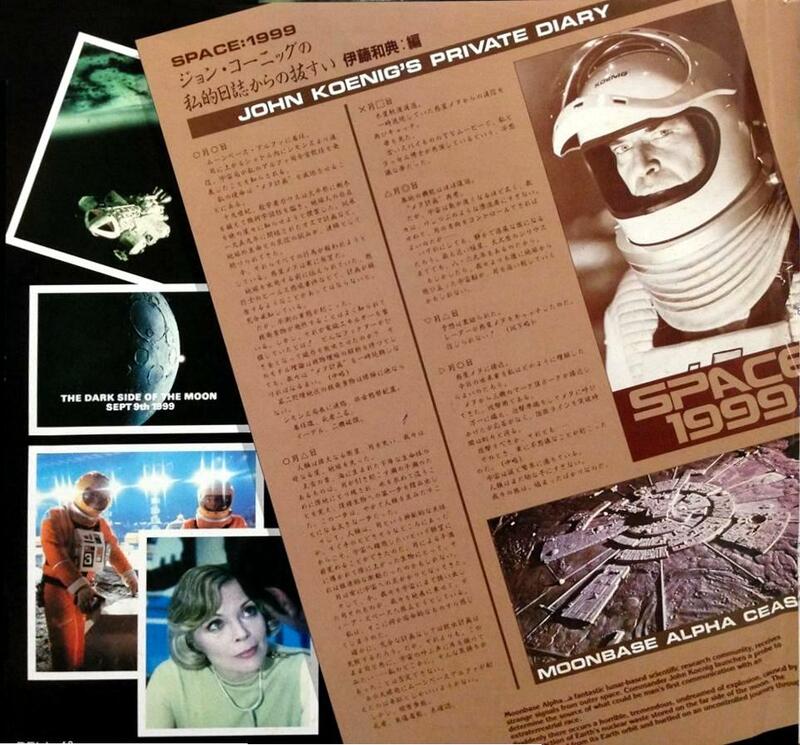 Includes a glossy photographic sheet, one side profiling the series, the other "John Koenig's Private Diary". 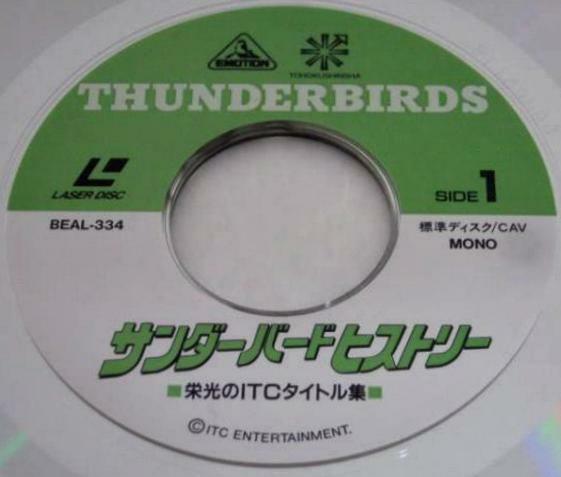 Serial number BELL-18 (9,800 Yen). 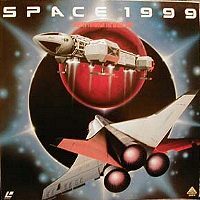 Released 28 April 1985. 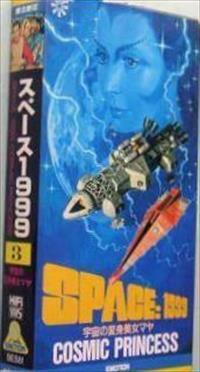 VHD release. 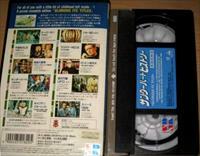 The card slip-case is similar to the VHS/LD. 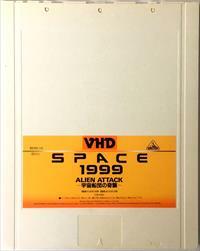 The white plastic caddy with yellow label contained the disc; it was inserted like a cartridge into the VHD player. 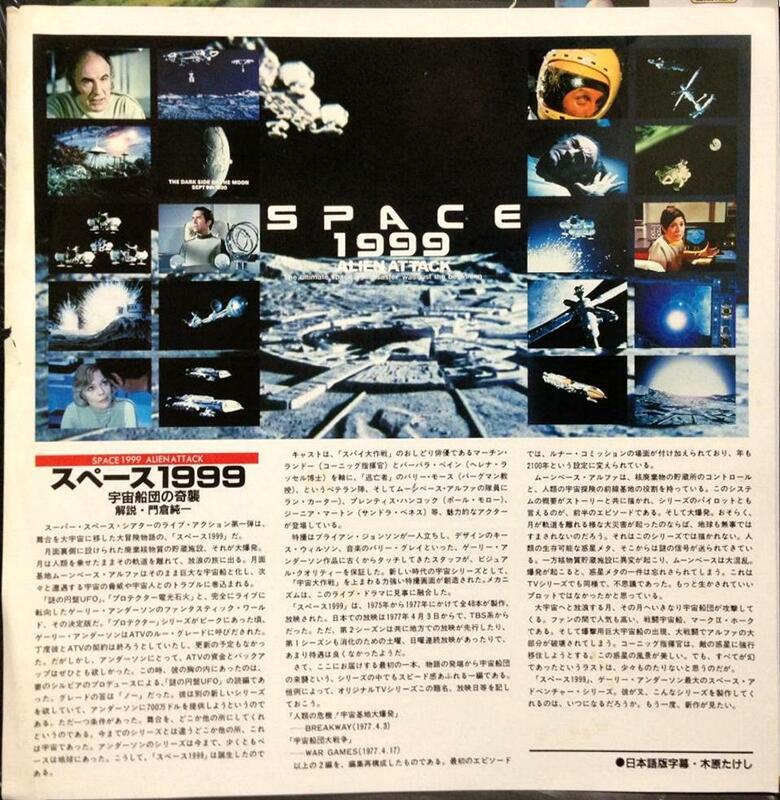 Thanks to Patrick Zimmerman. 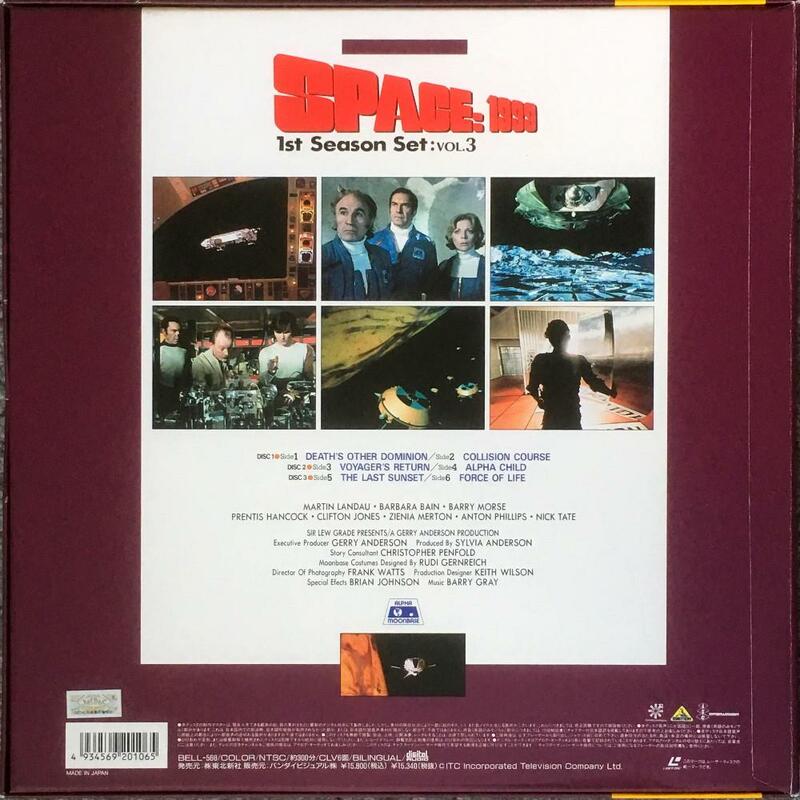 1st Season Set Set of four volumes, each with 6 episodes (on 3 laserdiscs). 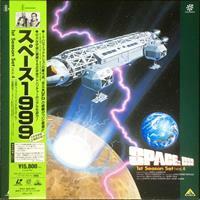 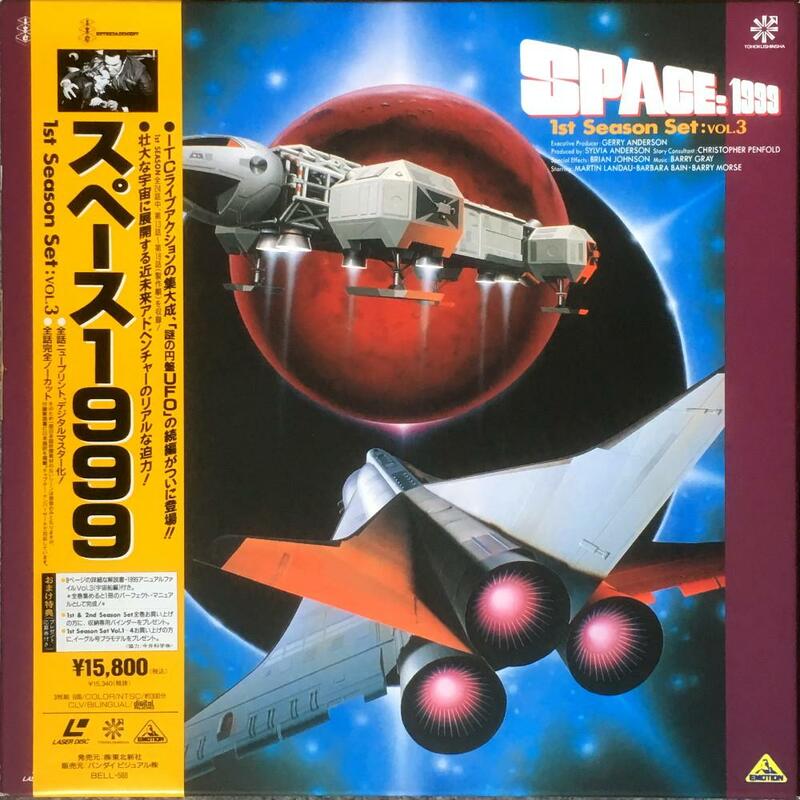 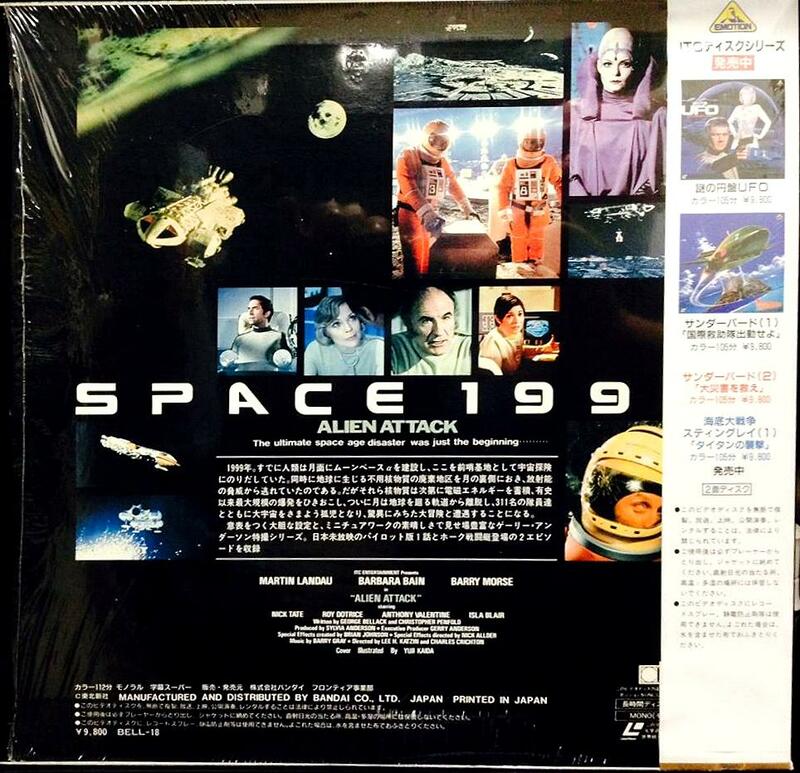 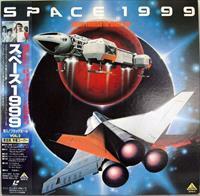 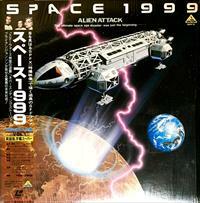 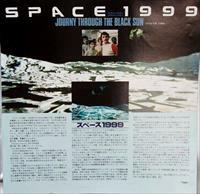 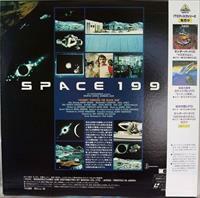 Released in 1993, price Y15,800 Discs are CLV, in NTSC with bilingual soundtracks (English and Japanese). 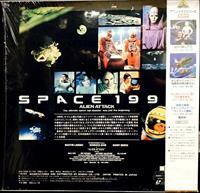 High quality packaging, with artwork cover box (art from the videodiscs), originally sold with tasuki/obi paper strip. 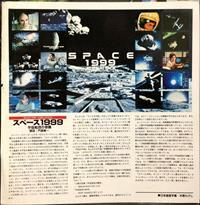 Enclosed are an "Annual File" with a colour photographic cover and 8 black/white looseleaf sheets covering series and production details (photos and art taken from the Tokuma Shoten "Complete Visual Encyclopedia" and Starlog's Technical Notebook). 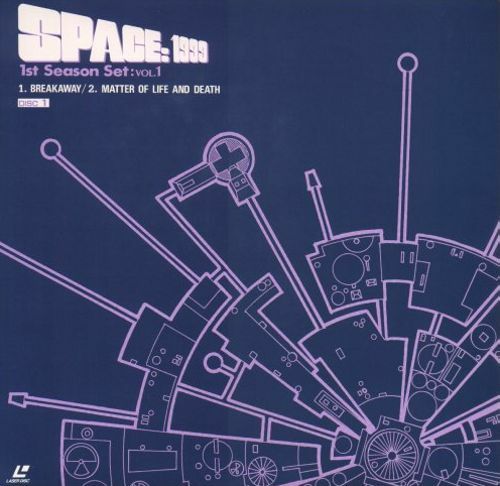 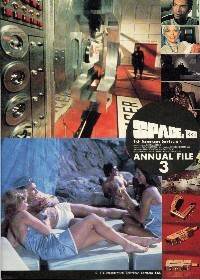 The disc sleeves used blueprints of Alpha hardware (the Moonbase, Eagle, Hawk, stun gun/commlock). 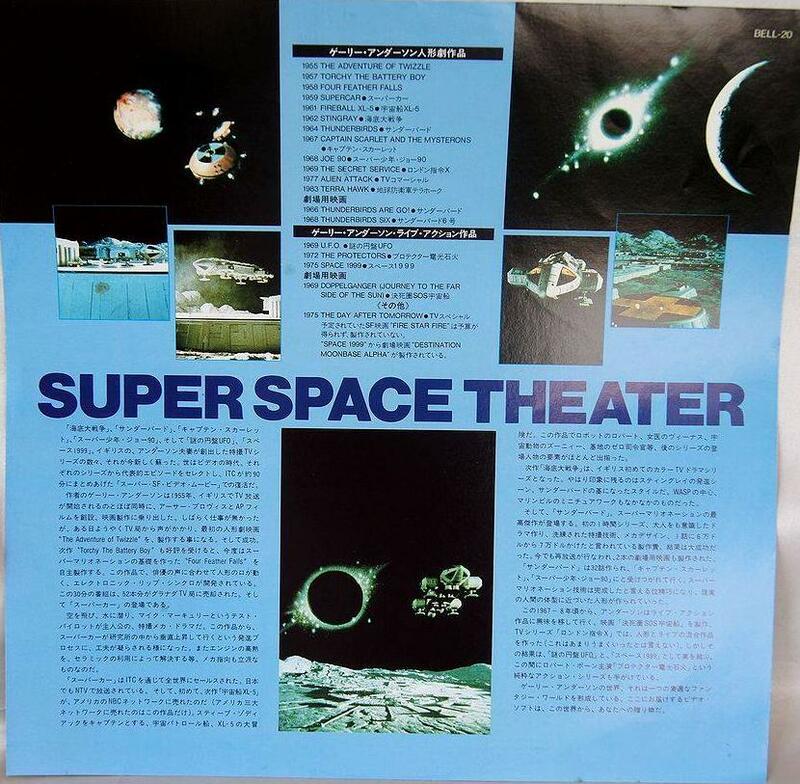 "The Testament Of Arkadia", "The Last Enemy"
18 x 26cm Bandai promotional leaflet from 1993 for their UFO and Space: 1999 laserdisc releases. 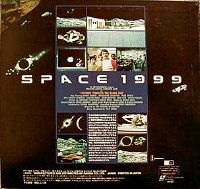 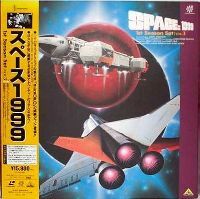 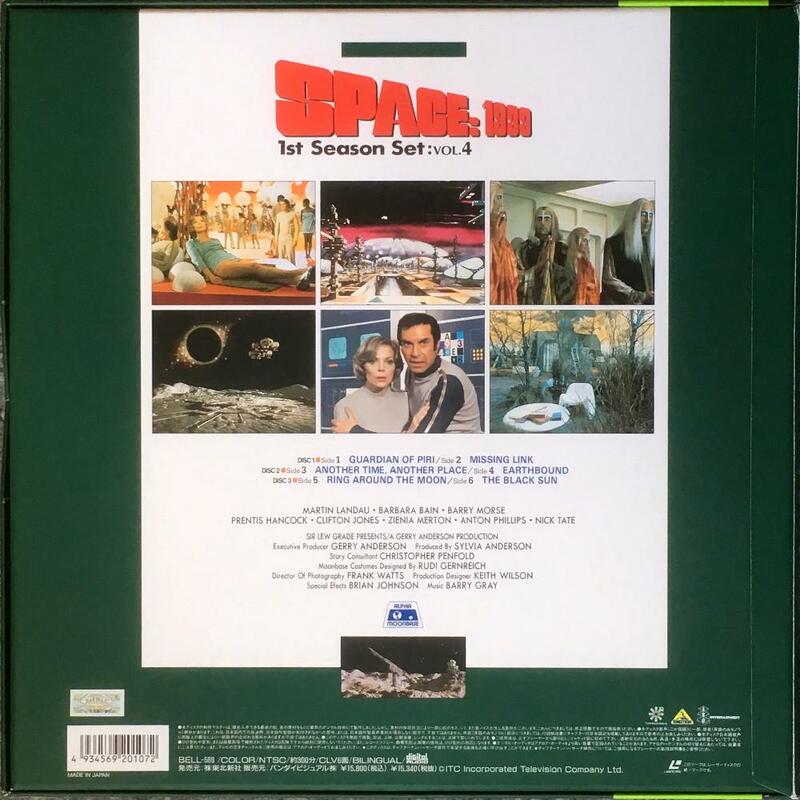 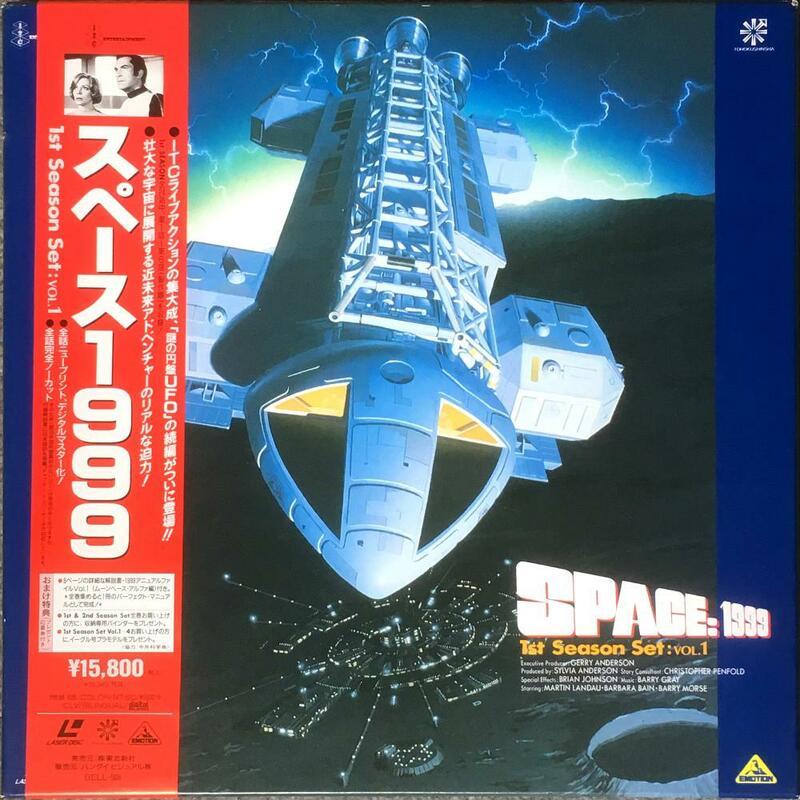 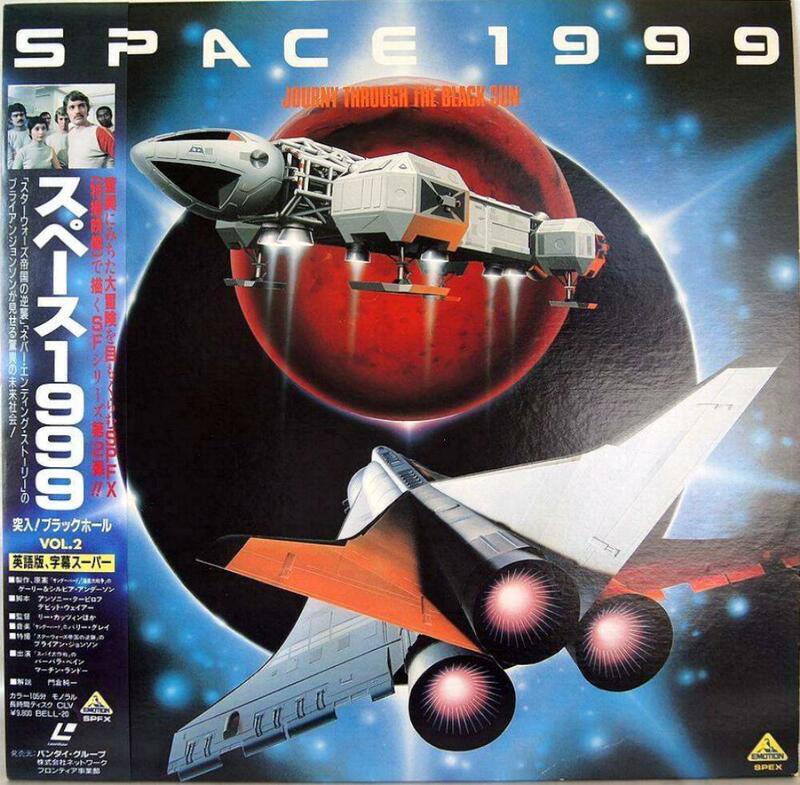 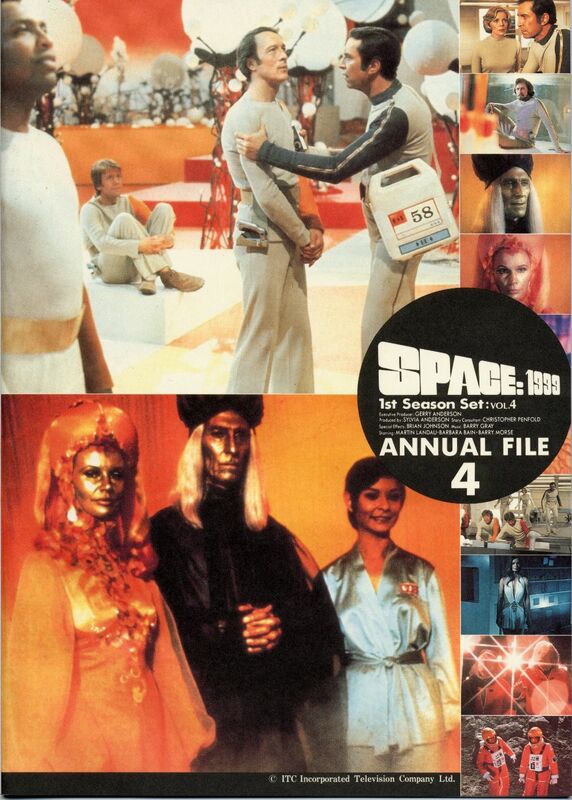 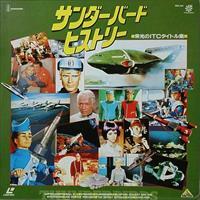 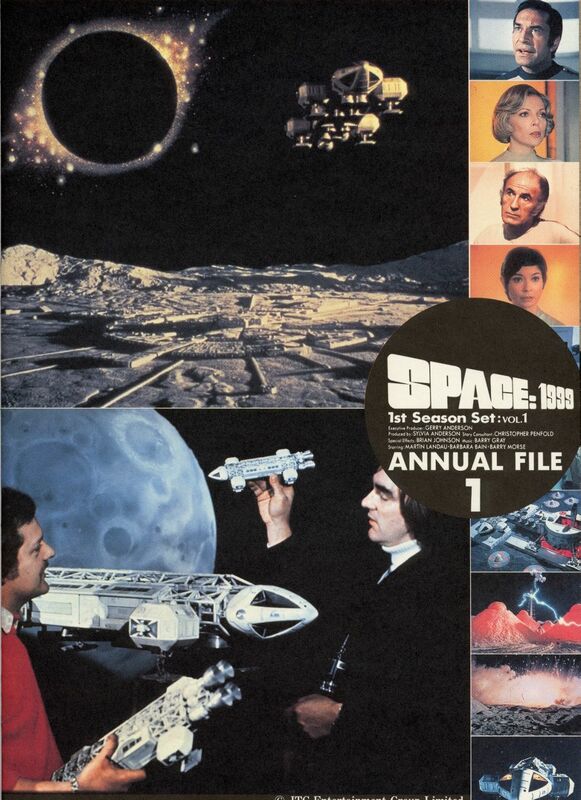 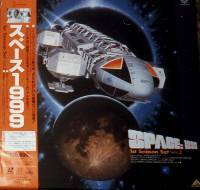 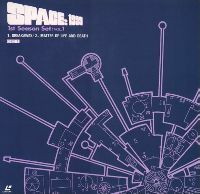 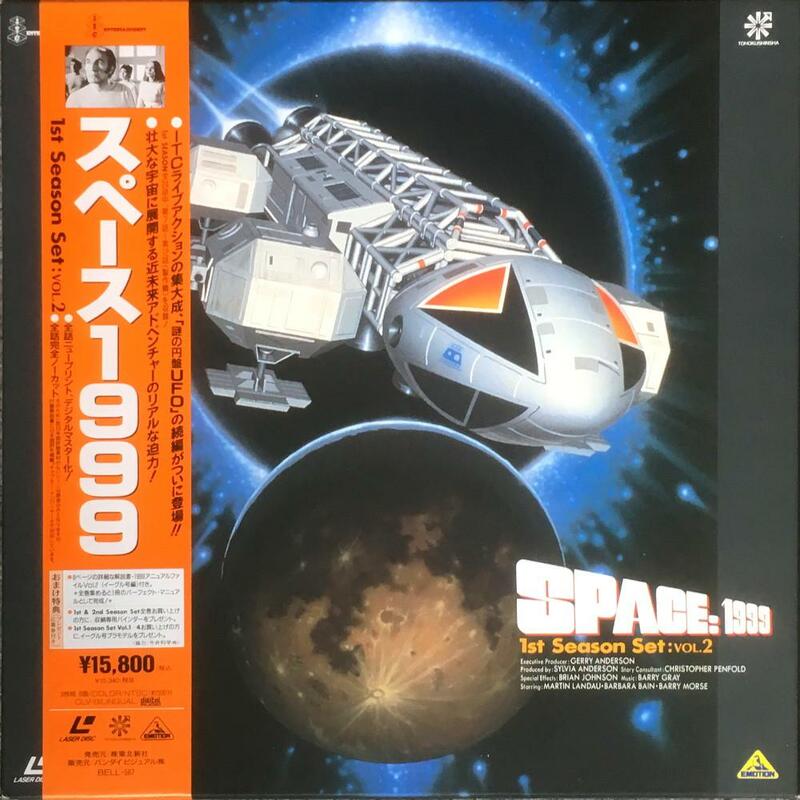 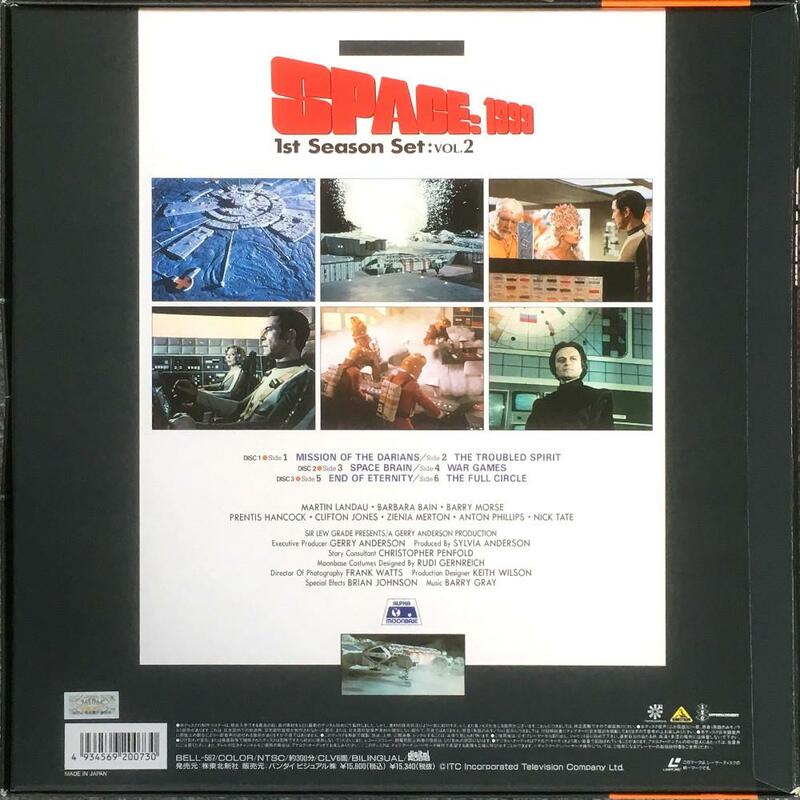 Laserdisc, featuring the title & credit sequences from Gerry Anderson ITC series, from "Supercar" to "Space: 1999" plus "The Prisoner", first in the original English format, then in the re-edited versions used in Japan. 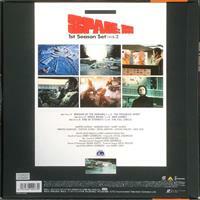 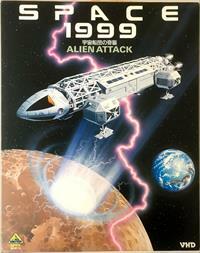 The opening sequence includes 5 seconds from the "Alien Attack" (Warren & Sparkman's Eagle crashing). The English title & credit sequences are from "The Troubled Spirit". The Japanese title & credit sequences are from "Ring Around The Moon" (the titles were identical to the English originals, except for an inserted shot of Eagles over the base from "Dragon's Domain" and a new, appalling theme tune). 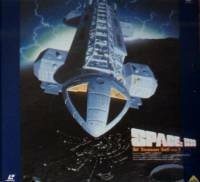 About 1 minute of footage of Koenig's Eagle in "Breakaway", & Eagles in "The Metamorph" and "Space Warp" (poor quality clips from "Cosmic Princess") are also included. 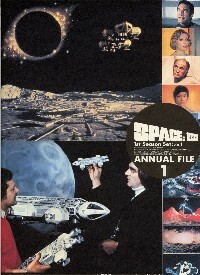 Cover featured colour photos from the series, including an Eagle & a Year Two posed shot of Koenig & Helena cowering in an Eagle doorway. There was also a VHS edition, with the English text on the back "For all of you with a little bit of childhood left inside...! 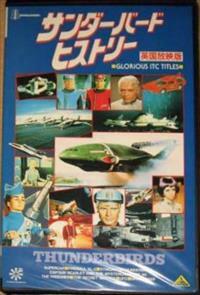 A prized complete edition Glorious ITC Titles". 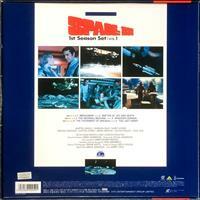 It was released in 1991, with serial number BES-677, and a blue cover. 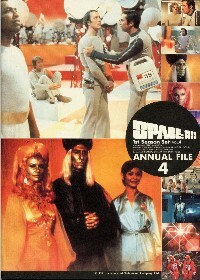 It was re-issued a few months later with a red-orange cover, but the same photos and text, as BES-678. 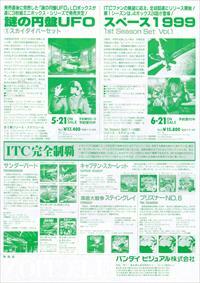 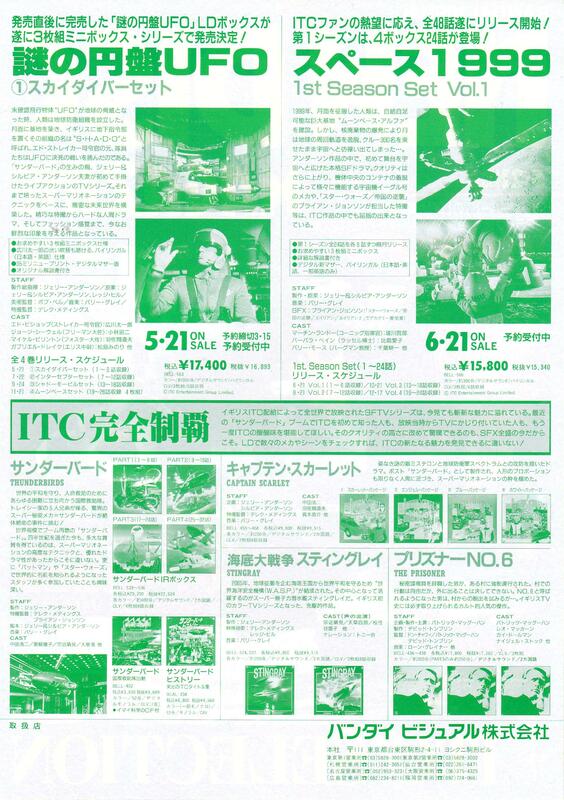 There is possibly another edition from Emotion, titled Thunderbirds and ITC Opening and Ending Titles Special , or it may be the same title with a different English translation. This has been listed as a laserdisc with serial number BES-144. 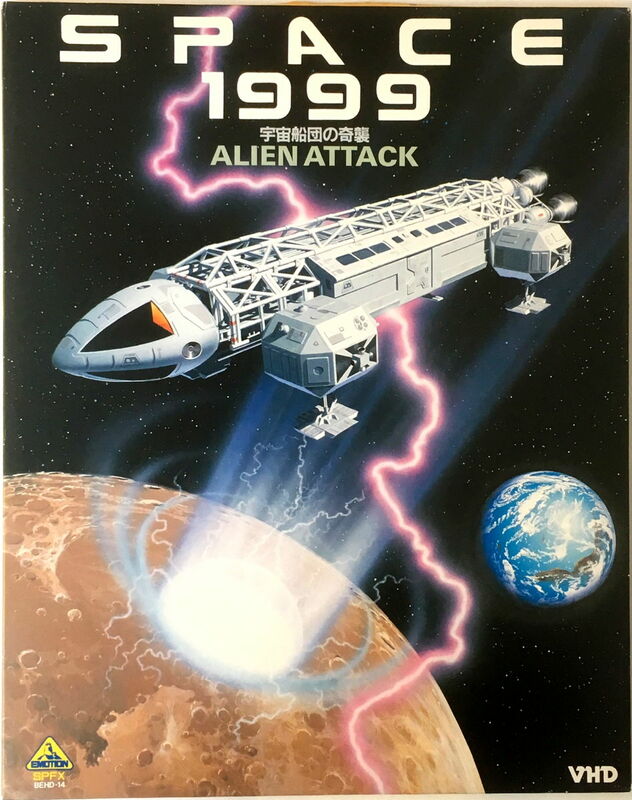 We have not found evidence of this serial number, but apparently it contained a 12 page 15 x 30 cm brochure, which is not in the known editions. 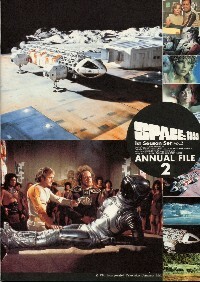 Copyright Martin Willey. 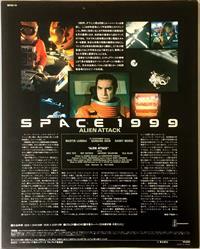 Thanks to Gordon Moriguchi, Patrick Zimmerman.